Here is another quilt top that I volunteered to do the FMQ. I used an e2e design called Malachite because I think it complements the piece. Another reason I chose this designs because bargellos are made up of many small pieces and I wanted a design that has stitching close together to catch as many seams as possible. 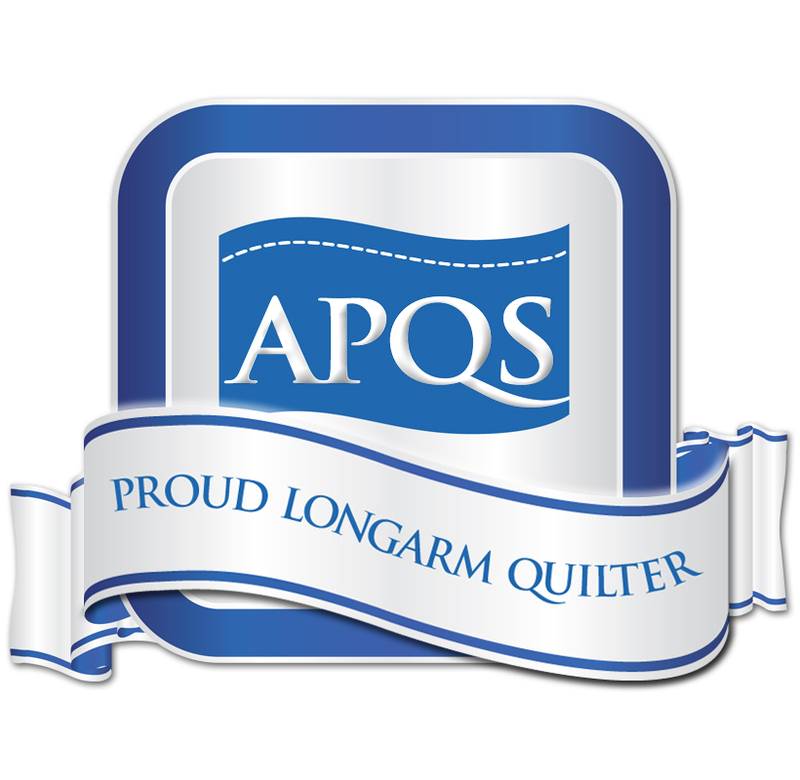 I continue to offer my longarm quilting services to Quilts of Valour. There are some beautiful asian prints in this quilt so I decided to use an E2E design called Haiku to complement them. I continue to volunteer to provide batting and donate my time to do the longarm quilting on quilt tops donated to Quilts of Valour. This is the 9th top that I have longarmed for them. I used Glide Khaki thread and e2e design Waterworld. Quilts of Valour put out a call for longarm volunteers to help complete some quilts before Christmas. I took this lovely yellow and green log cabin quilt and used a new pantograph called Maple Grove which features Canadian maple leafs. I hope the recipient loves their new quilt. I just finished the longarm work on my 3rd top for Quilts of Valour. They give me a quilt top and I provide the batting and the longarm service. This quilt proved to be a bit of a challenge because of all the 3 dimensional bling on numerous blocks. I used an edge to edge design called Waterworld because it reminding me of birds flying around. I hope the recipient loves their new quilt.